When you live in a nation that is frozen solid for 6 months of the year, an appreciation of winter is more or less a requisite. 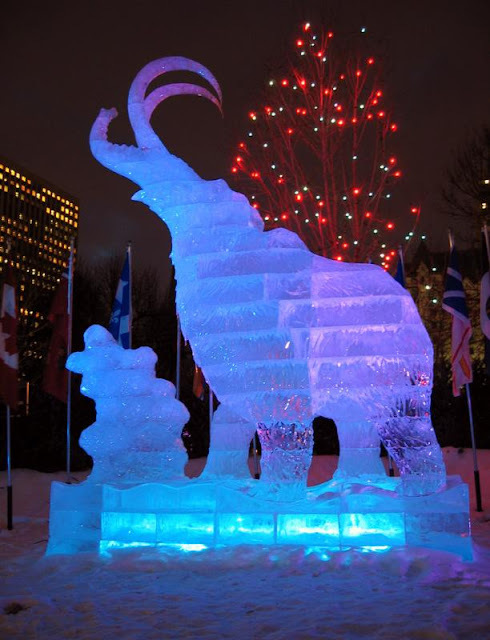 Thankfully, Canada's capital city, Ottawa, (where I happen to be from) is home to one of the most renowned winter festivals in the world: the aptly named Winterlude. The festival, with its world-record-breaking ice skating rink and its prize-winning ice sculptures, is a much-needed 'interlude' in this long season of bitter temperatures and biting winds. 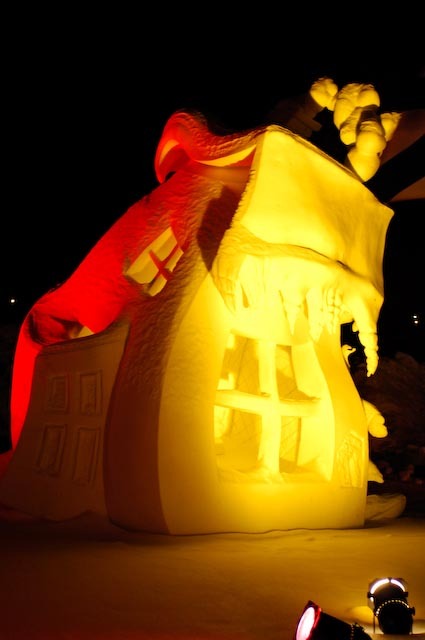 Created in 1979 by the National Capital Commission as a means of celebrating Canada's unique northern climate and culture, the festival plays host to millions of tourists and locals every February over a period of three weeks. 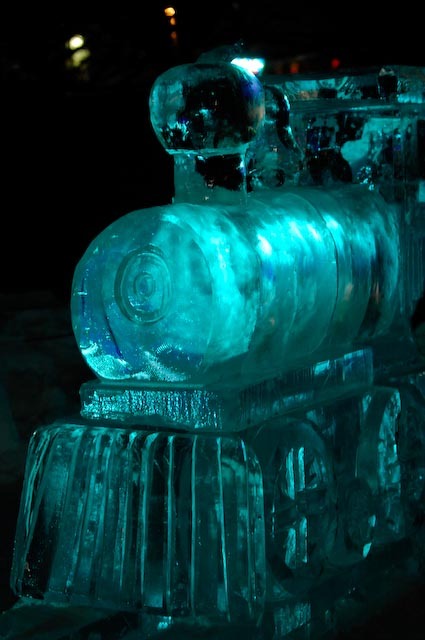 Ice sculptors also come from all over the world to compete in outdoor ice and snow sculpture competitions. 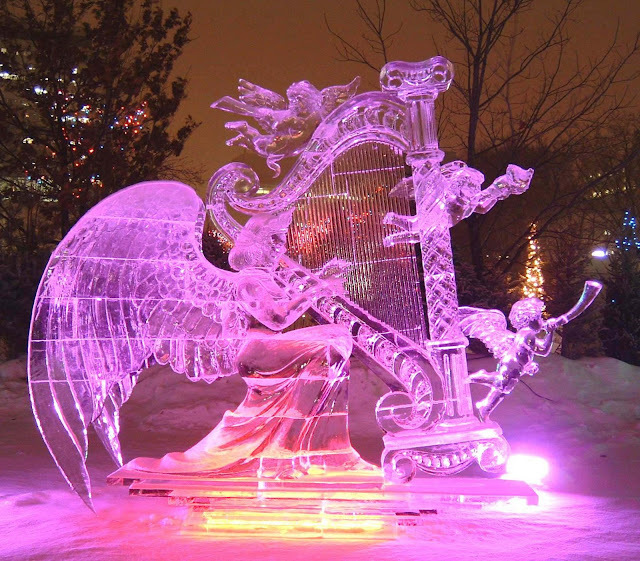 Ice and snow sculptures fill several of the city's downtown parks and there is a playland of ice and snow slides for children called Snowflake Kingdom at one of the parks as well. Many evenings, performers play outdoor concerts to hot-chocolate drinking skaters and winter revelers. 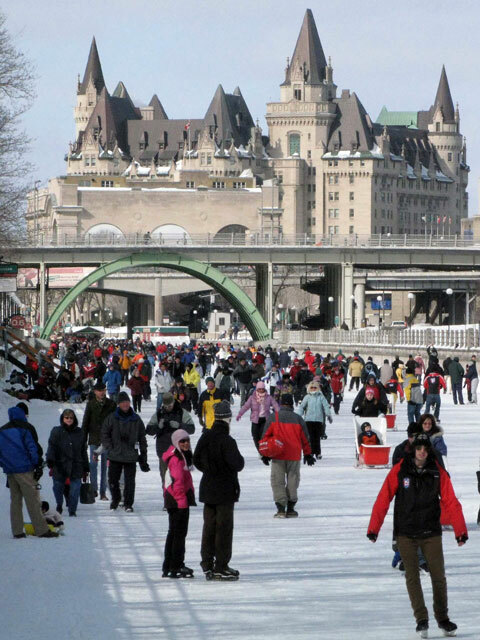 The centerpiece of the festival is the Rideau Canal Skateway - nearly eight kilometers of ice-skating surface that winds through the downtown core of Ottawa. It was designated as a UNESCO World Heritage site in 2008 and is considered to be the world's longest outdoor skating rink. Below are some photos of the popular event, from the skaters on the canal to the magnificent ice sculptures, many of which look utterly brilliant at night. I hope President Barack Obama gets at least a peek of these marvels when he visits Ottawa later this week on an official state visit to Canada. So you see? Living through a sub-zero winter has its definite perks! Skaters enjoy the crisp outdoor air and the winter sunshine as they glide along the Rideau Canal Skateway. In the background is the Fairmont Chateau Laurier Hotel. photo by Ray PilonA crooked house made entirely of snow. 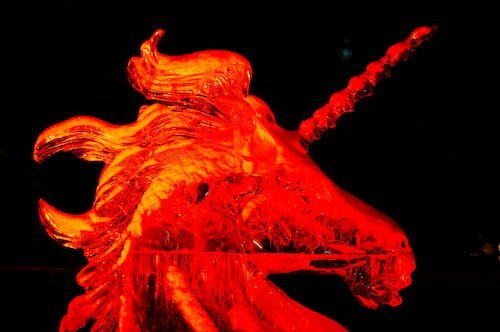 Photo by Ray PilonA unicorn carved of ice. A midnight train all aglow. Nothing wooly about these mamoths. Angels celebrate the magic of winter. Oh how lucky you are Andrew! I am pleased that the weather in LOndon has settled down and it feels like Spring could soon be here. How are the Martha books coming on? Are you going to print them on the blog or sell them? There's something to be said for making the most of a frozen landscape! Canadians have learned to embrace winter. The books are coming slowly. I've only just scanned the photos I'm going to use. No actual words yet. It's a slow process when there's so much else to do... But I'll keep everyone posted. Thanks, Pru. I love winter festivals..Yours looks like so much fun! Spring is just around the corner here in New England.